Hector “Macho” Camacho passed away five years ago today on November 24th 2012 after being shot in his birthplace of Bayamon, Puerto Rico. Hector Luis Camacho Matais was born in Bayamon, Puerto Rico. He was the youngest of five siblings. When he was 3-years-old his mother moved him and his three sisters and brother to New York City. During his childhood Camacho was often in and out of trouble and even spent some time incarcerated. Camacho first started boxing as a teenager as a way to escape the trouble. He would have a stellar amateur career in which he won his first of 3 New York Golden Gloves tournaments at the age of 16 in the 112lb division. His success as an amateur would lead him to make the decision to follow his dreams to make a career out of his talents. Camacho would debut on September 12th 1980 and began an almost instant rise through the rankings in both the 126 and 130lb divisions. In his 22nd professional fight, “Macho” would fight for his first world title against Rafael Limon on August 7th 1983 in which he won by 5th round TKO. After successfully defending his title Camacho would move up to the 135lb division and go on to fight Jose Luis Ramirez and win by unanimous decision on August 10th 1985 to become the WBC Lightweight champion. It was the second weight class he won a world championship in. After moving up another division Camacho would face Ray “Boom Boom” Mancini on March 6th 1987, as he would try to join the exclusive list of 3 weight class world champions. Hector would get a split-decision victory over Mancini. “Macho’s” list of notable opponents is like a who’s who of elite level fighters from his time. He has victories over the aforementioned fighters as well as Vinny Pazienza, Greg Haugen, Roberto Duran, Sugar Ray Leonard plus a few others. Although the Leonard and Duran wins are not over “prime” versions of the legends Camacho himself faced some of the best in boxing after what most consider prime. In 1994 he would try to win an elusive 4th division world championship when he faced fellow Puerto Rican great Felix Trinidad for the Welterweight championship. He lost to Trinidad as well as Oscar De La Hoya in 97 in his attempts to capture his 4th division title. In a illustrious career that spanned 30 years Camacho would finally walk away from the sport after losing to Saul Duran on May 14th 2010. He retired with a professional record of 79-6-3. During the peak of his career he was an icon in popular culture with his charismatic persona. He is widely considered to be one of the greatest boxers of all time from Puerto Rico. His name is mentioned alongside other greats such as Trinidad, Gomez and Benitez. 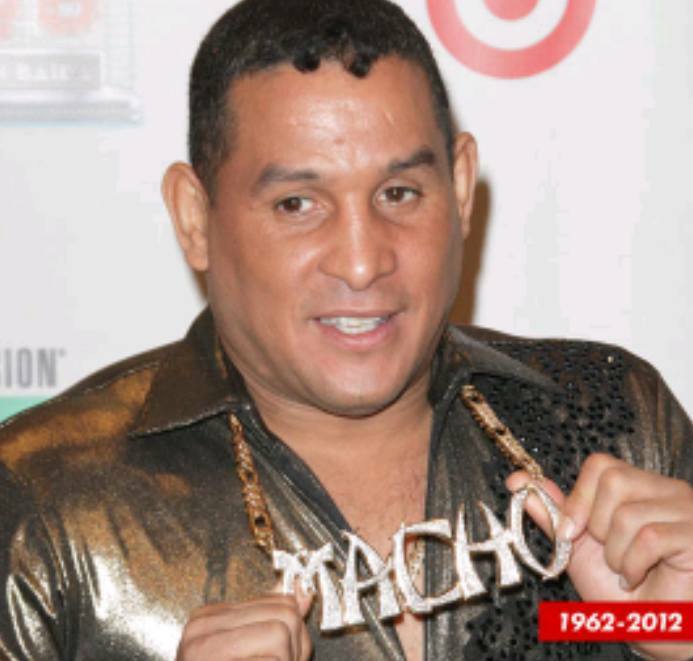 In June of 2016 Hector “Macho” Camacho was inducted into the International Boxing Hall of Fame in his first year of eligibility. Camacho deep down inside was cool but when he was around people he was out of control I know this cause I was one of his Sparring partners back in Texas in the 1980,s And I was. New York boxer Contender?Hector was one of the fastest Sparring partner I know and i spared with many like Howard Davis’s jr &Billy Costello &Mark Breland & Livingston Bramble &James Buddy Megirt Juan Laporte Saul Mamby Tyrone Jackson Michael Allajday John Meekins and many others.